No CRICKET lover could forget Glenn (aka Pigeon a�� nicknamed so because of his long, skinny legs, one hears) McGrath in a hurry. And this week, Bengaluru met the smiling Aussie in quite a different avatar. Instead of his lethal cricket ball, he had a glass of wine in hand, as brand ambassador for the Australian wine label, Hardya��s, a role hea��s quite happy about. 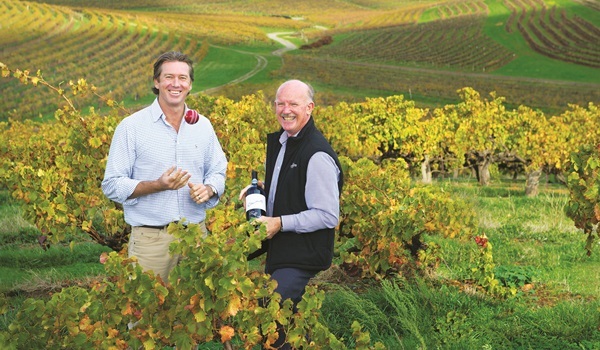 a�?Hardya��s is iconic, has a 160-year-old history, and I get to work alongside Bill Hardy, the sixth generation from his family in the wine business. Ita��s good to see knowledge and tradition being passed down through the generations.a�? Therea��s plenty that McGrath has passed down to his successors in the Australian cricket team. The greatest Aussie fast bowler of his time, hea��s sent more than his fair share of spine-shivers to opponents on the pitch. He loves that, and wouldna��t ever choose to be anything other than a quick.A�A�A�A�A�A�A�A�A� a�?Ita��s about bowling fast, controlled, and landing the ball where you want,a�? he says, adding, a�?India has always been a tough place to be a fast bowler, but a quality fast bowler has to be able to adapt in all conditions.a�? He considers himself lucky to have played when he did: a�?The Australian team was ranked number one and there were some pretty amazing players I got to play alongside.a�?A� Things were hectic but not as hectic as today, he agrees, recurring injuries being due to crammed cricketing schedules. a�?Such is the life of an international cricketer today. But hey, the rewards are handsome too,a�? he adds. Aussie cricket is in good hands, he acknowledges and says that hea��s a�?really impressed by the current Australian team, captained well by Michael Clarke, and when Michael retires, Steve Smith.a�? Therea��s depth with bat and ball and hea��s impressed with their current fast bowlers. So, no worries here, mate. India, he feels, will be all right too with Virat Kohli heading things. a�?India is lucky to have Kohli, a class batsman with an aggressive streak. That no-backing-down positive attitude will hold himA�in good stead,a�? McGrath says. A few words of advice too: a�?Celebrity status is something that goes hand-in-hand with being international cricketers, especially in India. As long as they dona��t let it go to their heads and they stay grounded, it should be fine. Theya��re people, just like anyone else. Though these days everyone has a camera/video camera on them 24/7, and they must realise that and respect the fact theya��re role models too.a�? Meanwhile, he concentrates on the serious (his McGrath Foundation for cancer) and the happy (wine, travel and a new life). Like he says, a�?Life is meant to be enjoyed and I do my best to achieve this.a�? With wine glass in hand, wea��ll say cheers to that.